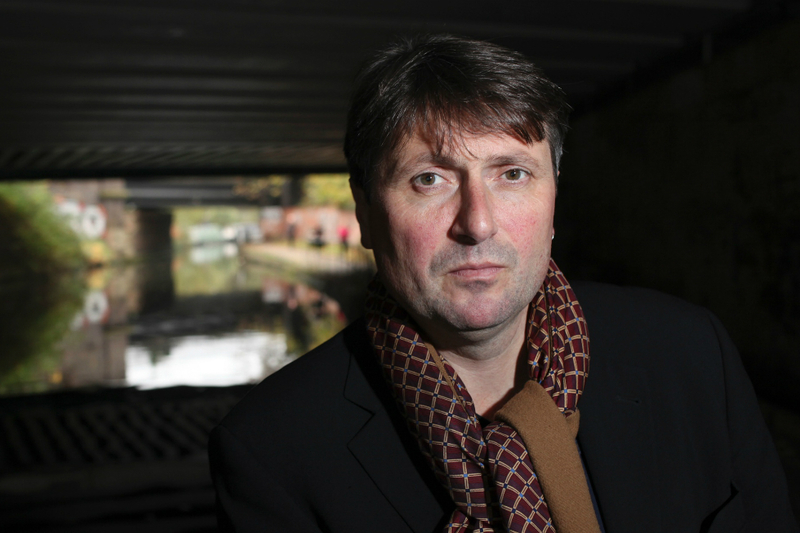 In the intimate setting of the Everyman Theatre recently, I heard Simon Armitage read from his new collection, Paper Aeroplane: Poems 1989-2014; an evening to mark a long and impressive career as one of the foremost poets of his generation. Born in 1963 in West Yorkshire, Armitage’s poetry is recognisably characterised by a particular kind of Englishness, sharply focusing on urban detail in an ironic way that resonates with a huge contemporary readership. Cultural and popular references abound in his work, and he embraces a poetic persona that appears to be street-wise and satirical. Paper Aeroplane — compiled by Armitage himself — draws upon all of his prize-winning collections over the last 25 years. Included is his eponymous debut Zoom (1989), which exploded onto the landscape of British poetry with a startling vitality; plus other well-known collections such as Kid (1992), Book of Matches (1993), The Universal Home Doctor (2002) and Seeing Stars (2010). A sense of eager anticipation preceded Armitage’s initial and solitary appearance on centre stage. The popularity of his poetry felt tangible amongst a good-humoured audience who seemed familiar with his work. He began with a poem entitled Thank You For Waiting, and delivered it in a characteristically deadpan style. 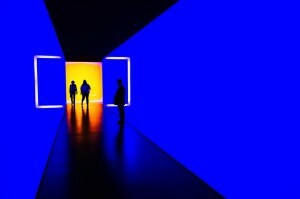 This poem’s subject matter seemed to centre on the absurdities of hierarchy in modern-day society; in this case, the scenario of boarding passengers on aeroplanes. In between readings, Armitage related wry and engaging anecdotes about the inspiration behind some of his poems and referred to his previous work as a probation officer before becoming a full-time writer. Overall, Armitage’s poetry often betrays an underlying sense of anxiety and anger at the political and social realities of a contemporary Britain. 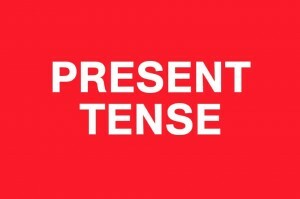 This is exemplified in poems such as Poundland, where a pound coin symbolises entry to a hellish vision of consumerism, and the narrator protests against the widespread commodification of material objects and brand names, ‘all under the clouded eye of CCTV’. Works like You’re Beautiful movingly depict the narrator’s insecurities within a relationship: this poem in particular seems to ironize gender and class differences through the setting up of a series of oppositions: ‘you’re beautiful / because you’re classically trained / I’m ugly because I associate piano wire with strangulation’. And then there’s the poem To His Lost Lover, which ends with the narrator regretting having ‘left unsaid some things he should have spoken about the heart, where it hurt exactly, and how often’. 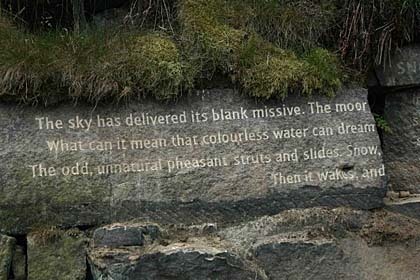 In more recent work, Armitage reveals a concern with the beauty and significance of the natural world, especially in a sequence of poems which have been carved in natural rock at various locations along the Pennine Watershed from Marsden to Ilkley. This forms a 47 mile-long trail known as the Stanza Stones Poetry Trail. On stage, Armitage described the importance of water as a shaping element in the Pennine landscape which he is so familiar with. One of his final poems of the evening, Rain, evoked this beautifully, whilst also suggesting the influence that poets such as Seamus Heaney and Ted Hughes may have had on him: ‘Be glad of these freshwater tears / each pearled droplet some salty old sea bullet airlifted out of the waves’.